A couple of weeks ago I was invited to the joint Templar and Hot Key Books blogger’s brunch. As both imprints come under the same publisher, they decided on a joint event to show their book highlights for the coming year. As we were shown quite a lot of books that day, I thought it would be best to break this post down into two parts. So today I will focus on the up and coming Templar books and later this week I will look at the book treats Hot Key Books have in store for us. The Templar presentation was made by Helen Boyle, the commissioning editor for Templar Books. It was lovely to see Helen again as it had been a couple of years since I had last seen her. Her enthusiasm for the new publications was catching and she soon had as all desperate to read the new books. In January, they published Me, Suzy P. by Karen Saunders. This was a debut novel and has been described as a book that will take you right back to being fourteen again. This is meant to be really funny and I am looking forward to getting the chance to read it. 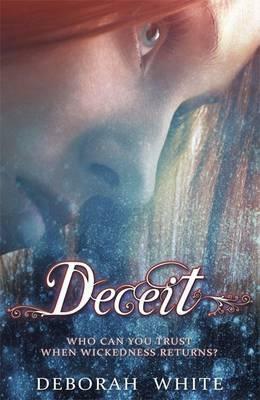 Also in January, Templar published Deceit by Deborah White, which is the second book in this series. The first book Wickedness was published last year, but has been republished this year with a stunning new cover to match Deceit. This series is about two teenagers separated by centuries but united by prophecy. It comes under the title of twistorical fiction, which is something I haven’t heard before. 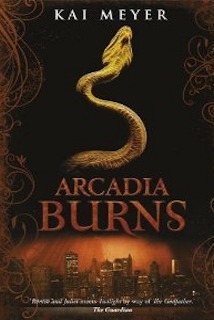 February sees the publication of Arcadia Burns the second book in the Arcadia series by Kai Meyer. The books have been translated and have been described as a Romeo and Juliet style series entwined with shape shifters and the Mafia. If you are looking for a dark and intense YA series, then this is the one for you. In March, Templar will be publishing a book I have personally been waiting quite a while for. 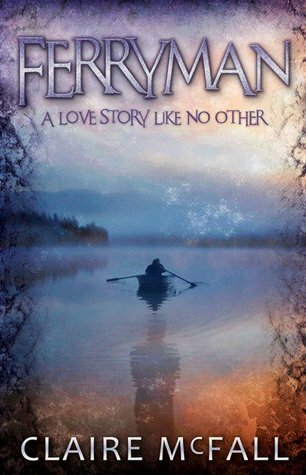 Ferryman by debut author Claire McFall. I had the opportunity to talk with Claire at the event and she was lovely. This is a refreshing take on the afterlife genre. This is in essence a love story and I can’t wait to read it. March also see the highly anticipated publication of Sweet Shadows by Tera Lynn Childs. My answer to the Charmed sisters! I loved the first book Sweet Venom and I can’t wait to see what the sisters are up to now. The three long lost sisters are descendants of Medusa and trouble seems to follow them around. In April, Don Calame publishes the third book in his series, Call The Shots, following on from the success of Beat The Band and Swim The Fly; each book can be read as standalone. Each book covers a different perspective of three boys who are close friends. By reading these books you get an insight in to how teenage boys actually think. Eeep! The dialogue is fast and funny and will keep you entertained. Don is a screen writer too so he knows how to write excellent dialogue. 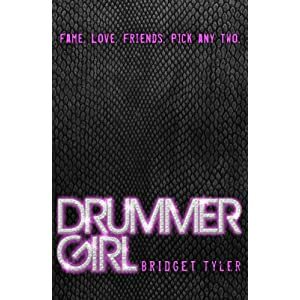 In May, Templar will publish its answer to Gossip Girl meets American Idol – The Drummer Girl. This book is very glitzy and glamorous following a UK group of five during their adventures in LA, where the excitement all goes incredibly wrong leaving one of them dead. I can’t wait to find out more about this book. The second book from Tera Lynn Childs this year is the third and final book in her successful and fun mermaid series. Just For Fins will be published in June. If you haven’t encountered this series, think high school but with mermaids. Also in June, Templar are publishing a book they discovered on their slush pile. 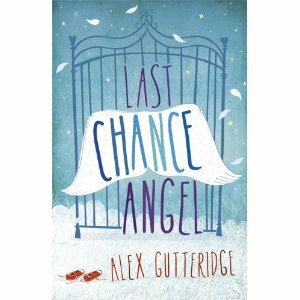 Last Chance Angel by Alex Gutteridge. This has been described as this year’s Love Aubrey and will definitely need tissues supplied with it. So some fabulous books coming from Templar this year. I can't wait to read them all. Which one would you like to read the most? As I am one of(the few?) who enjoyed being fourteen I would love to read a funny story about that :) Lovely post, Vivienne, thanks for bringing these book onto our radar. I hope you get to read them too. Looking forward that one myself. What a great selection. 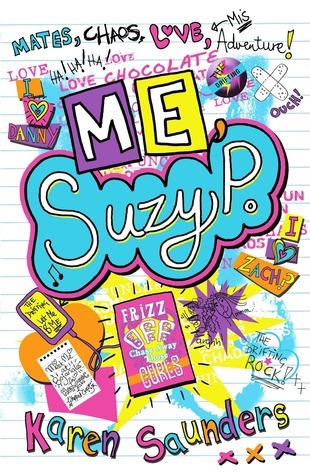 As I read and reviewed Suzy P last year Im particularly looking forward to reading what you thought of it. I didn't realise you had read it! I shall have to come and see your review.